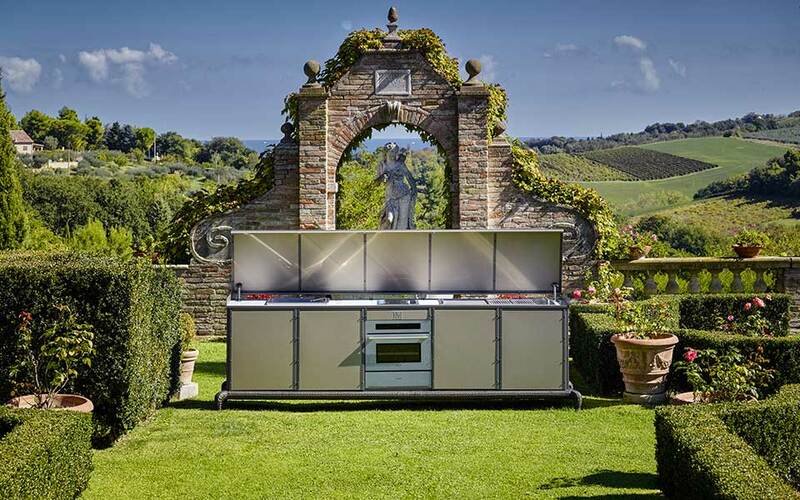 Free standing linear kitchen with automatic cover operated with remote control. 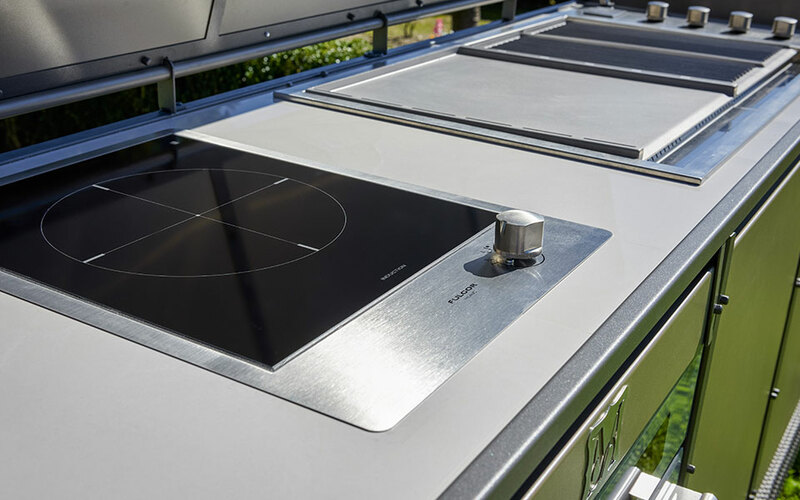 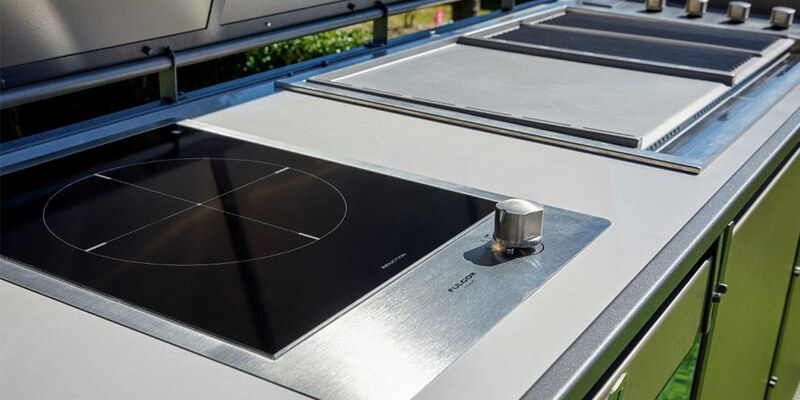 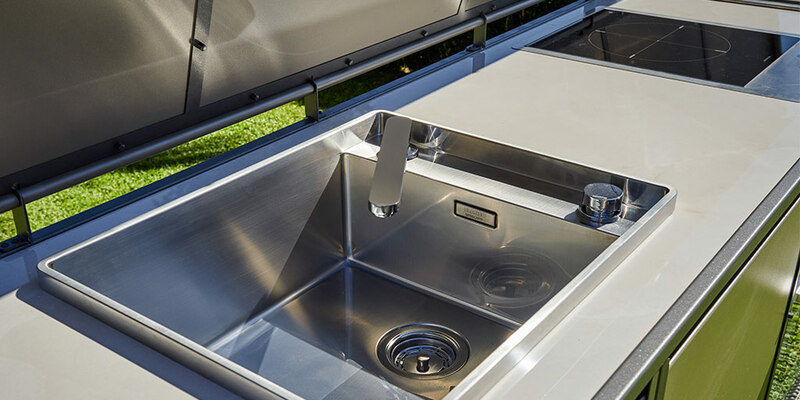 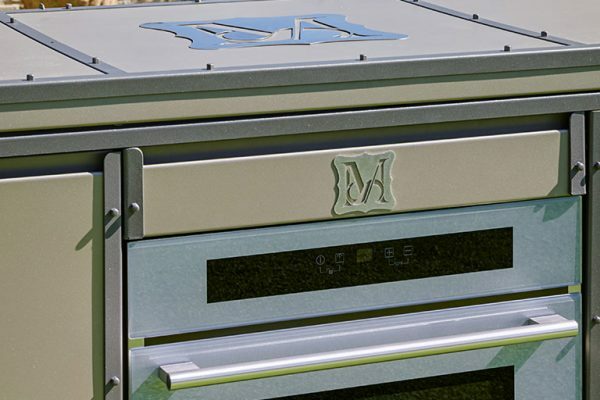 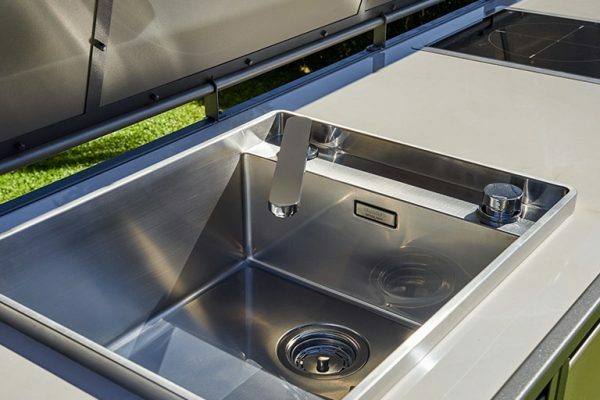 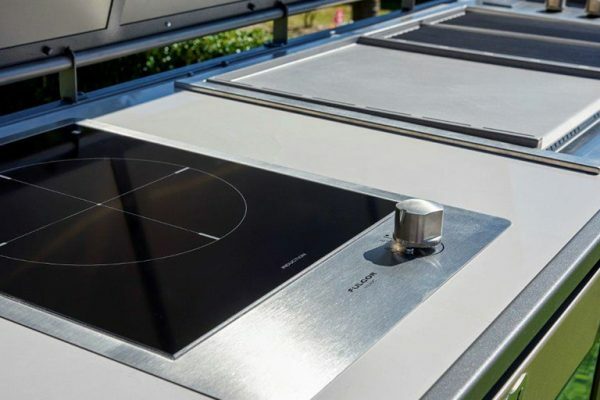 When the outdoor kitchen is not in use the cover protects its top that contains appliances. 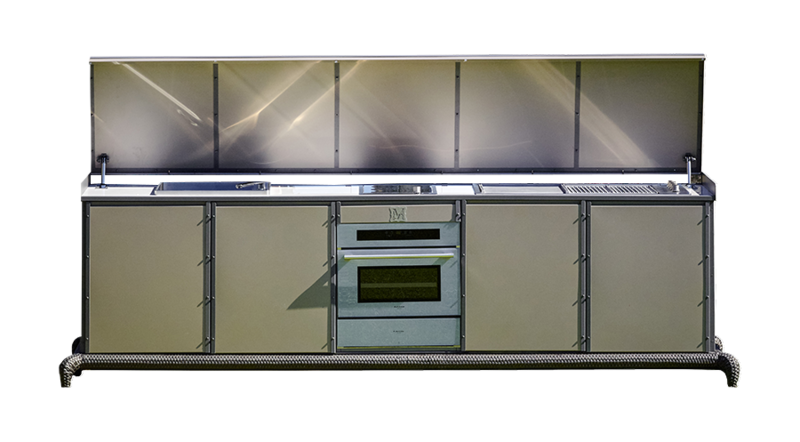 The Linear kitchen with automatic cover can be equipped with two different bases, as all the other models in our collection. 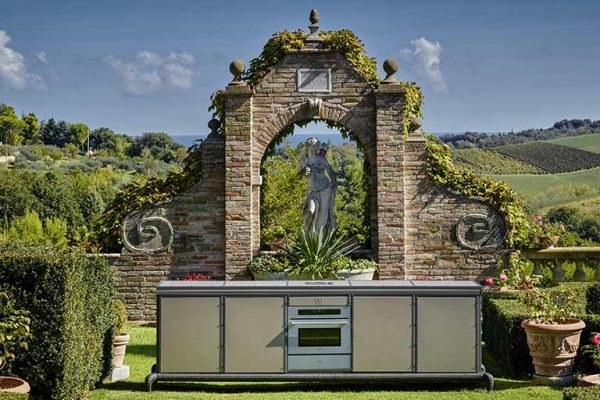 Depending on the design chosen by the customer, kitchen can have an aluminum base covered with hand-woven synthetic wicker or, alternatively, a straight metal band. 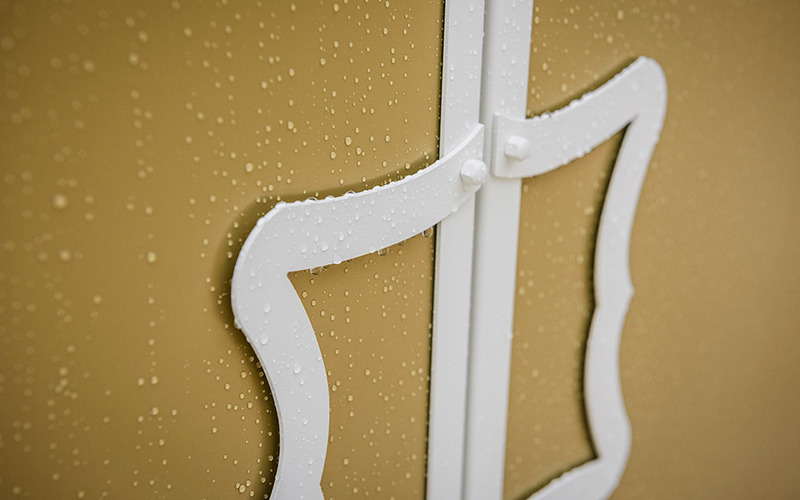 The modules of the structure are made of iron painted with an ultra durable powder coating, which meets the demanding weathering requirements of the leading industry specifications Qualicoat Class 2, GSB master, and AAMA 26045, as well as BS EN 12206. 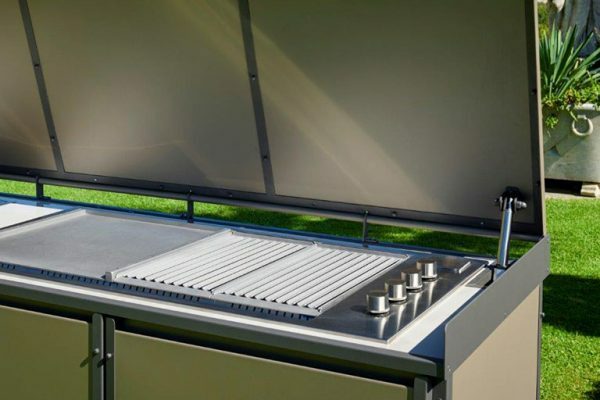 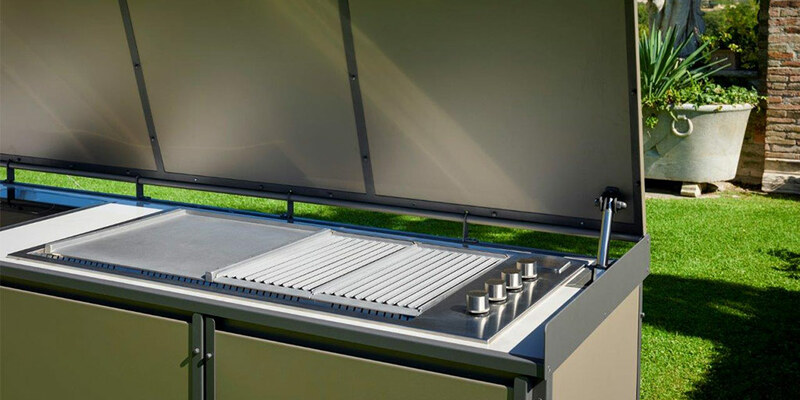 The outdoor kitchen top is made in porcelain stoneware surface 6 mm thickness suitable for contact with foodstuffs, heat and frost resistant, resistant to UV light, no alteration to colours, stain resistant. 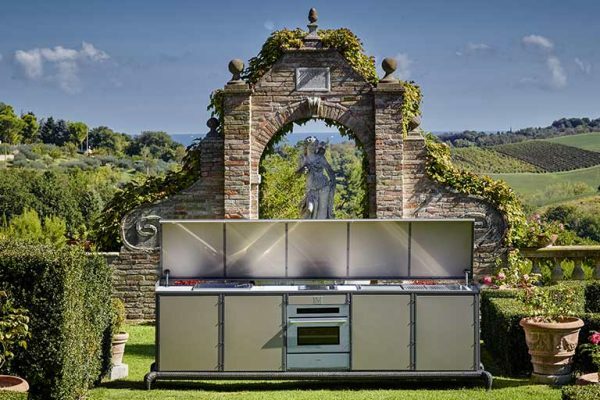 This free standing outdoor kitchen is equipped with: sink with retractable mixer tap, induction surface, gas barbecue and wine cellar. 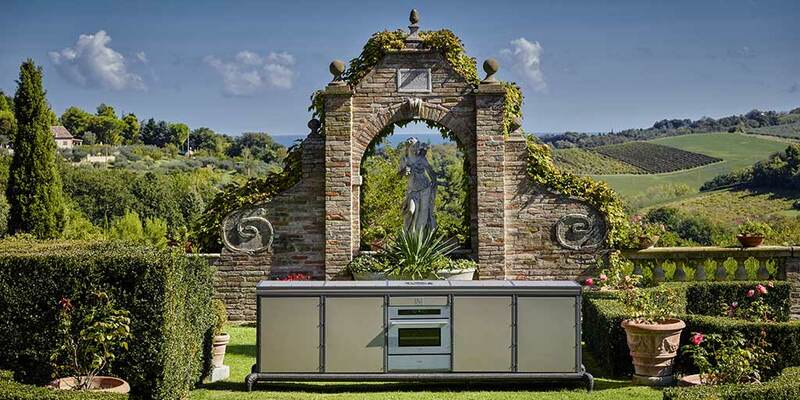 On request the kitchen can be also realized with provisions for client’s own appliances. 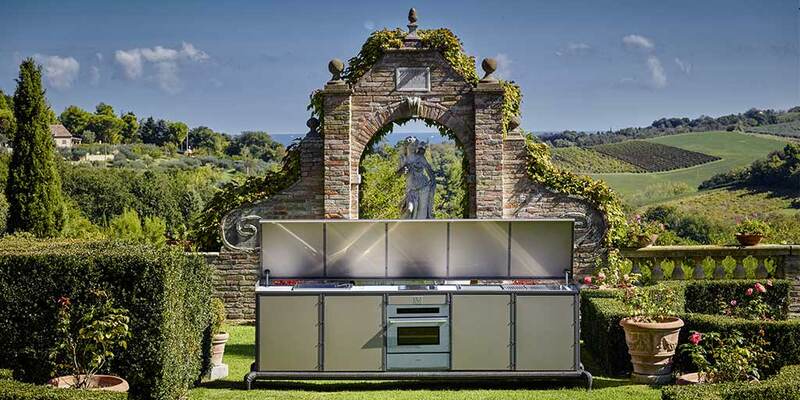 In addition of this, the outdoor kitchen can be provided with client’s favorite brand equipments. 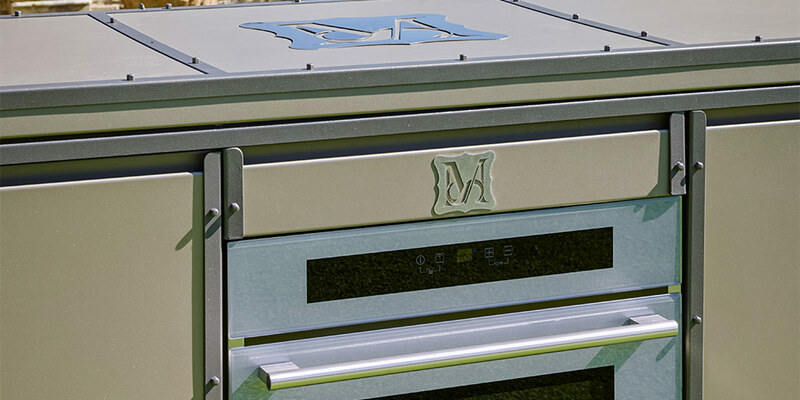 We propose a wide choice of colors and finishes to customize the style of your kitchen.